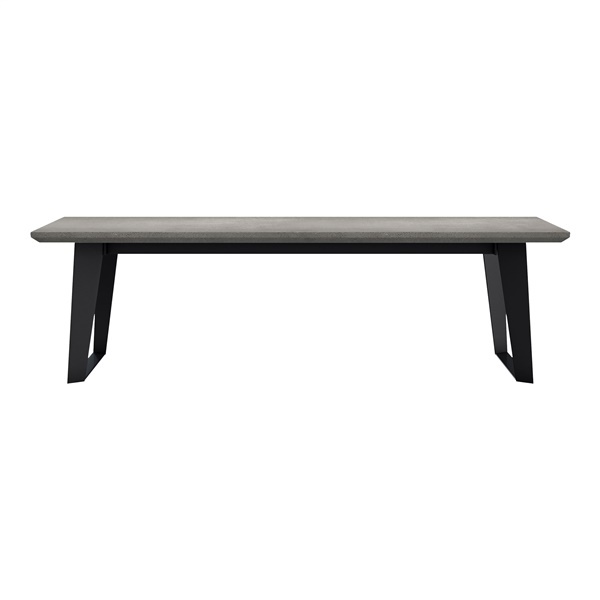 The Amsterdam Coffee Table by Modloft exudes geometric sophistication. Constructed of ultra sturdy powder coated steel legs and a matching concrete top, add a hint of industrial chic design to your living space. Available in gray or white sand, the Amsterdam Coffee Table is crack and stain resistant for extended, durable, long lasting use.